TECHNOLOGY and the LIMPSFIELD burner. 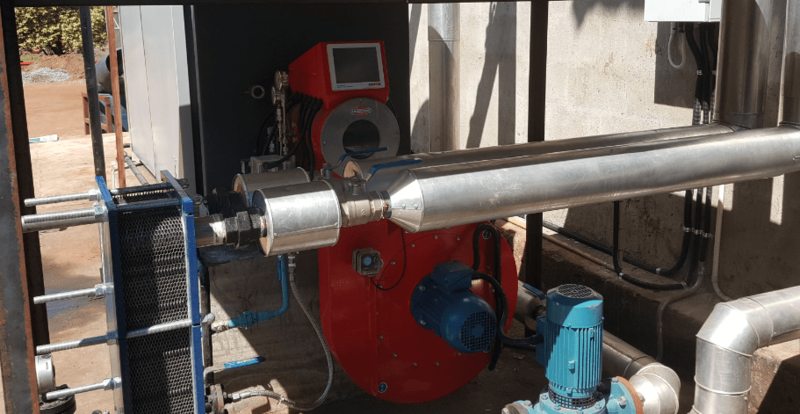 The boiler installed is a 630kW UNICAL Hot Water Boiler fitted with a Max rated 900kW LIMPSFIELD burner with the latest Mk.8 Autoflame hardware & software. Old equipment replaced by new modern technology with high efficiency. 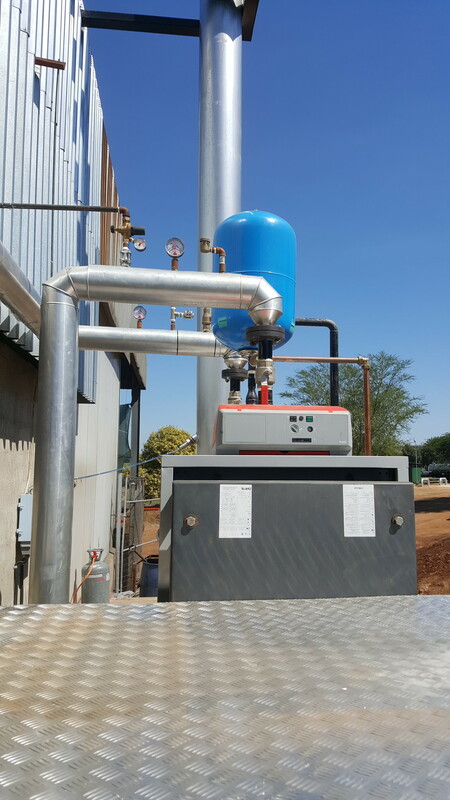 The old equipment that was being used by Mountain Valley consisted of a 220kW coal fired boiler with the controls not working at all and coal being fed in manually by staff members. The coal boiler was started at 2am every morning for production to begin at 4am. At 3pm every day the staff began to put out the coal fire in the boiler. This was a messy job and the surrounding area was always full of ash and coal dust. With our new equipment commissioned and running online there was no need for any staff to start or stop the boiler. The system ran automatically and there is no need for any human intervention. The system software also includes a “run times” function. It is a function whereby one can setup the times that the boiler must start and stop automatically. 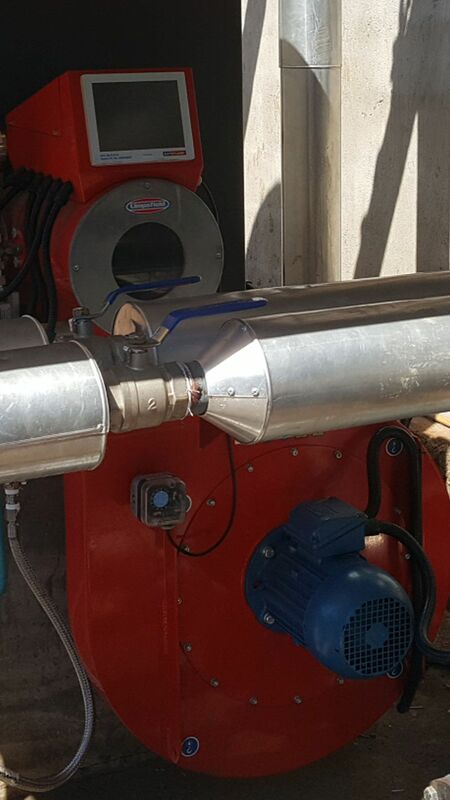 This function drastically reduces fuel cost as the burner never fires when there is no production. It also eliminates the need to rely on staff to start and stop the boiler. 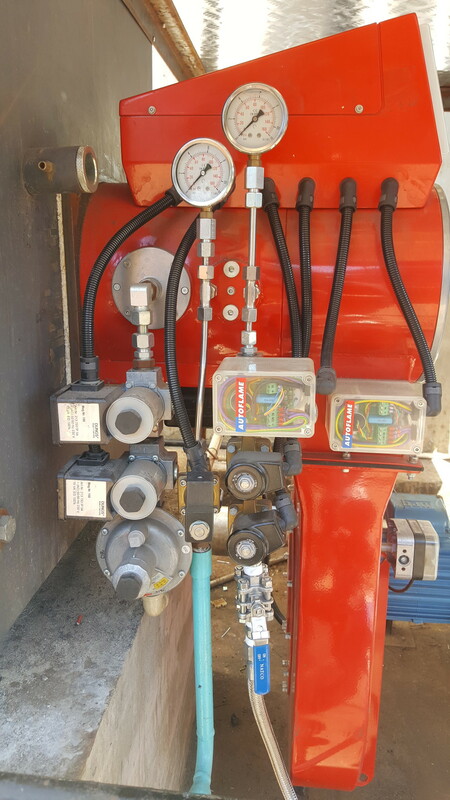 We have also fitted the system with an Autoflame Exhaust Gas Analyser (EGA) which continually monitors the combustion process to make sure it stays at the commissioned values irrespective of the change in conditions such as air temperature, atmospheric pressure or variations in the fuel.